This undated booking photo provided by the Chickasaw County Sheriff's Office in New Hampton, Iowa, shows Cheyanne Harris. 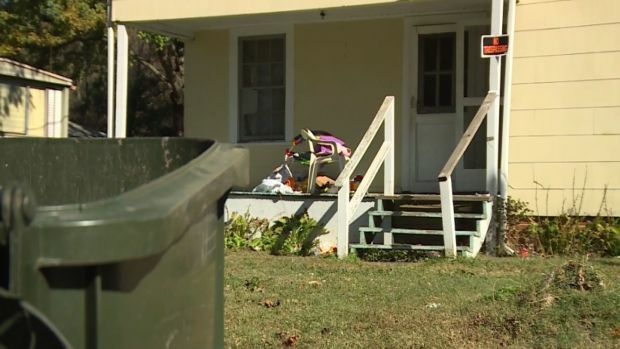 Authorities have charged Harris and Zachary Koehn with murder in the death of their 4-month-old son, whose maggot-infested body was found in a baby swing in the family's home. Warning: Graphic details could be offensive or disturbing to some readers. Medics called to an Alta Vista apartment in August 2017 found 4-month-old Sterling Koehn dead in a swing in a dark, sweltering bedroom. An autopsy shows he died of malnutrition, dehydration and an E. coli infection caused by being left in the maggot-infested diaper for up to two weeks. The boy's father, Zachary Koehn, already has been sentenced to life in prison. "He died of diaper rash. That's right, diaper rash," Assistant Iowa Attorney General Coleman McAllister said in December during that trial. In the opening statements of Koehn's trial, his attorney said the baby's death was a tragedy, but not a crime. Nurse and county rescue squad EMT Toni Friedrich testified that she was the first to arrive at the apartment after Koehn called 911 to report the baby had died. Friedrich said Koehn showed no emotion when he led her to the dark, hot bedroom where the baby's body was.